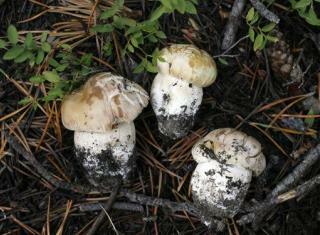 (Newser) – That scientists discovered three new species of mushrooms isn't all that unusual. That they did so in their local supermarket is why it's making headlines. Scientists in London picked up a packet of dried porcini mushrooms at the grocery store and then used a technique known as DNA barcoding, explains the CBC. When they attempted to match the DNA profiles of the dried mushrooms to known species, they discovered that three of the 15 pieces they tested were previously unknown to science. Introducing Boletus meiweiniuganjun, Boletus bainiugan, and Boletus shiyong. But do they get you high?